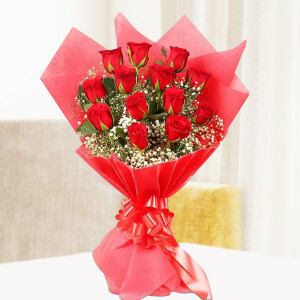 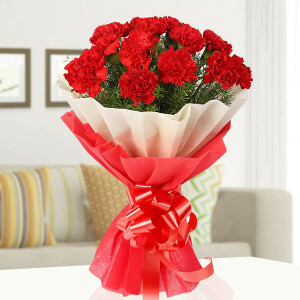 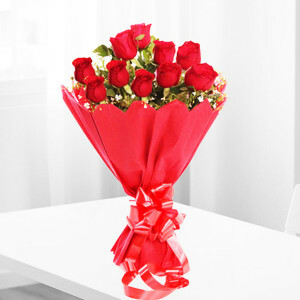 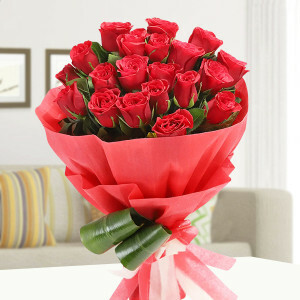 Send your heart with heart-shaped arrangements and other gorgeous Valentine Flowers to Delhi with MyFlowerApp. 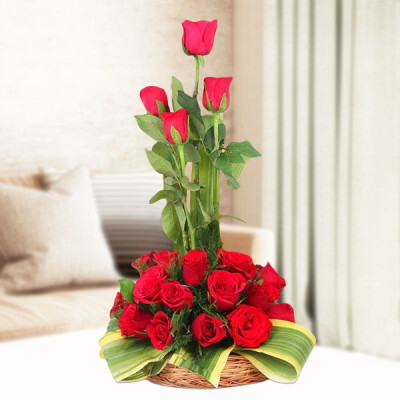 Select from a plethora of roses, gerberas, orchids, carnations, and more and we will deliver vases, baskets, bouquets, and more anywhere in the National Capital. 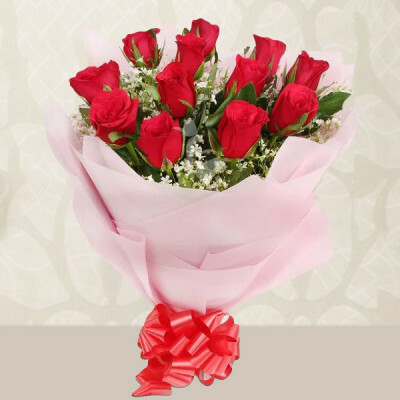 For the lovers and romantics at heart, MyFlowerApp brings you the amorous option of sending Valentine Flowers to your beloved in Delhi. 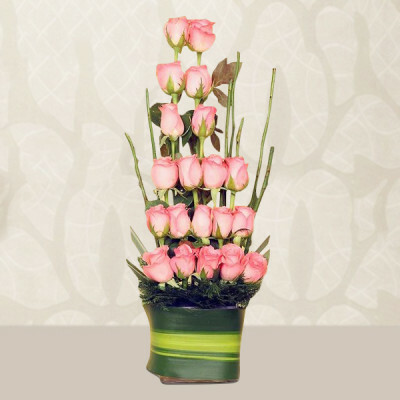 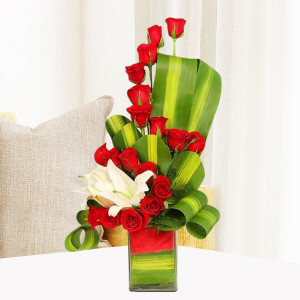 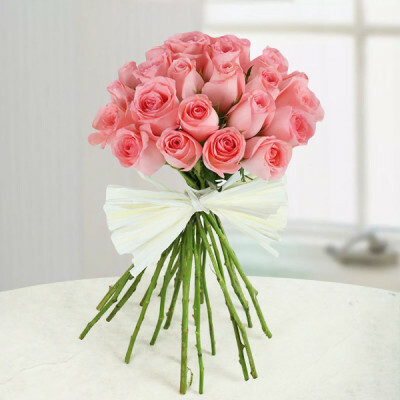 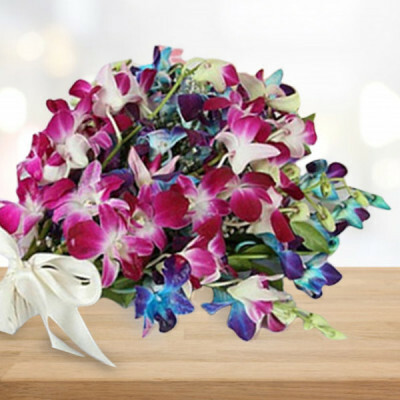 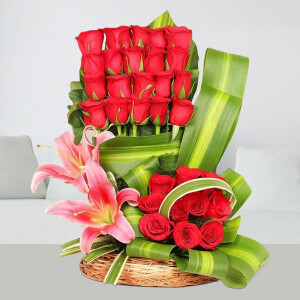 From the traditional red roses to elegant orchids, lilies, gerberas, and more, you can order your sweetheart’s favorites here and get them delivered anywhere without any hassles. 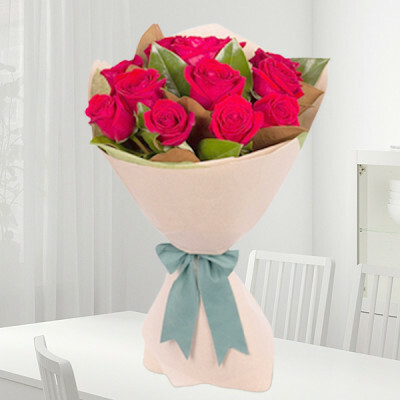 Say ‘I Love You’ in the classic yet popular style – send a bouquet of red roses or a romantic floral arrangement like ‘Pink Roses Heart’ and fill your darling’s heart with love. 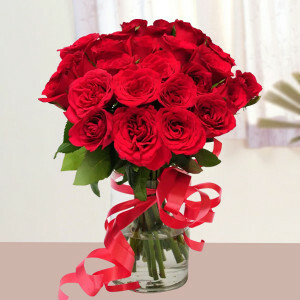 Add all their favorites to the combo and include a quote like, “We are a single soul inhabiting two bodies. 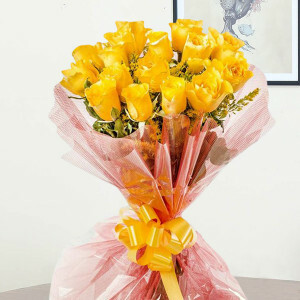 Thank you for coming into my life when you did. 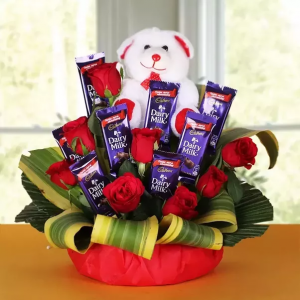 Happy Valentine's Day, my love.” You can add-on their favorite red velvet cake or get a heart-shaped arrangement along with a teddy bear, or go with the classic chocolates and flower combo with a box of Ferrero Rocher added to the mix. 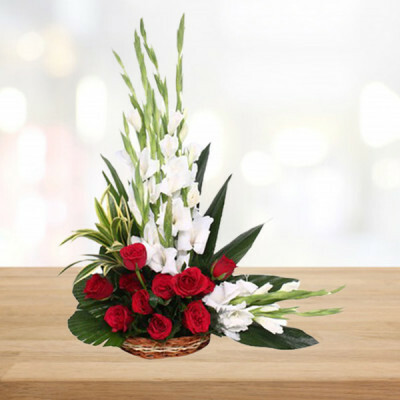 Whatever you decide, we will deliver anywhere in the National Capital, including Janpath, Rohini, Nehru Place, Patparganj, Ajmeri Gate, Dilshad Garden, Pitampura, and Vasant Kunj. 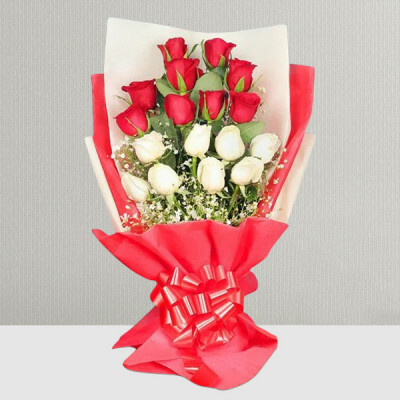 14 February is the day all couples await eagerly, to take the opportunity and lavish their partner with affection throughout the day. Whether you are in a long-distance relationship or living together, make the day special for your husband, wife, girlfriend, or boyfriend by ordering Valentine Flowers online with MyFlowerApp. From Daryaganj to Shahdara, Laxmi Nagar, East of Kailash, Green Park Extension, Kalindi Kunj, Mehrauli, I P Extension, Meena Bagh, etc., we will deliver your love anywhere in Delhi, with our trusted delivery services. 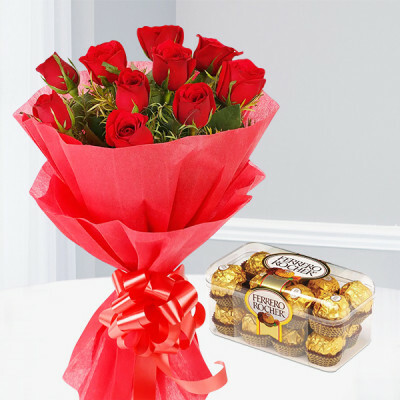 You can order all their favorites and make it a combo with elegant red roses, other flowers, chocolates, cakes, and Valentine Gifts or select one from our extensive range like Double Rose Heart or Roses and Rocher Chocolate Bouquet. If you are hoping to give the love of your life a grand surprise, you can order one of MyFlowerApp’s Valentine Serenades as well. 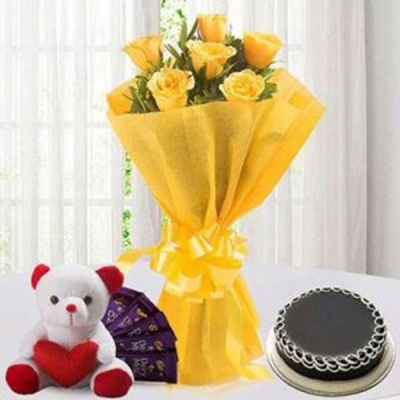 Send gifts for 2, 3, 4, 5, 6, 7, 8 days of Valentine, with romantic Valentine Week Flowers and gifts, or get a musical Valentine with a professional guitarist singing a song of your choice. 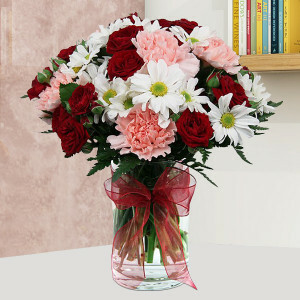 Woo your significant other while the guitarist helps you articulate your emotions through music. 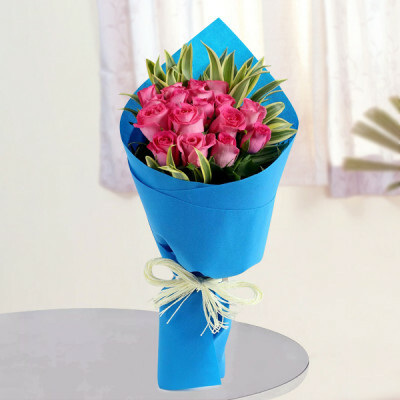 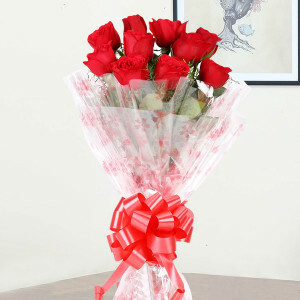 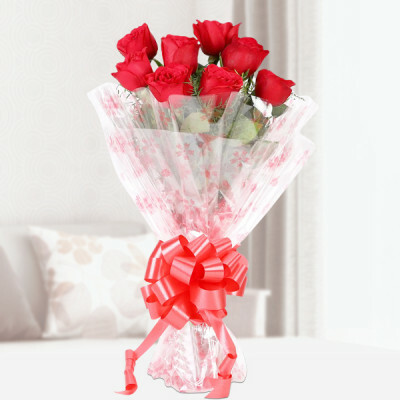 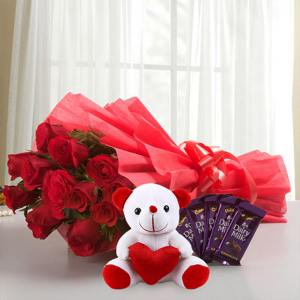 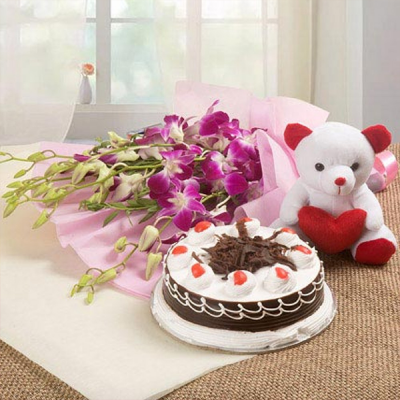 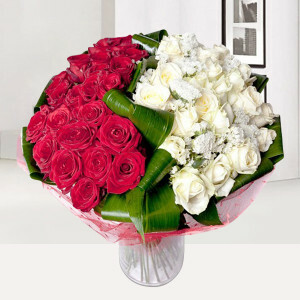 For those of you who are in hurry to get your affection delivered to your Valentine in Delhi, MyFlowerApp has the option of same-day delivery and express delivery services. 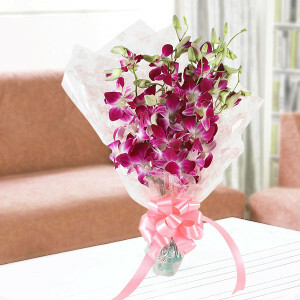 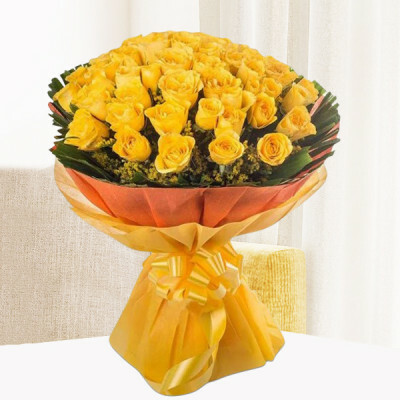 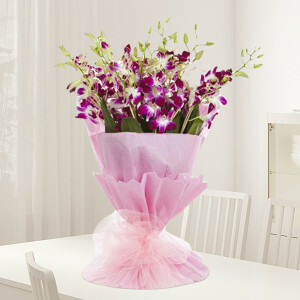 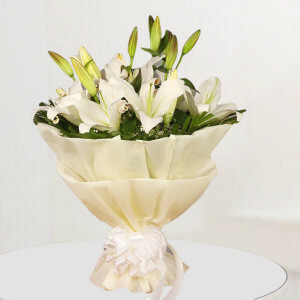 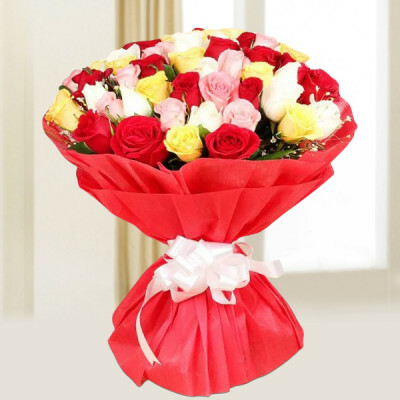 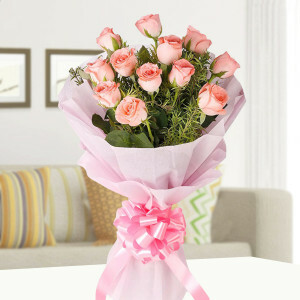 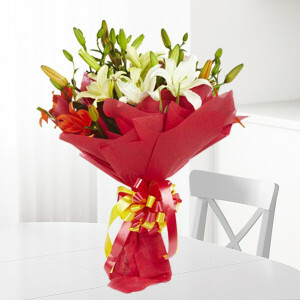 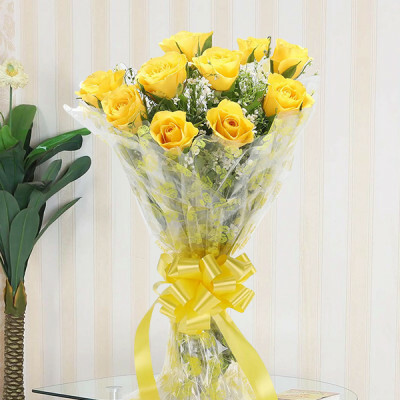 If you are planning a surprise, we also offer early morning or midnight delivery. We cover the entire National Capital Region and proffer free shipping. 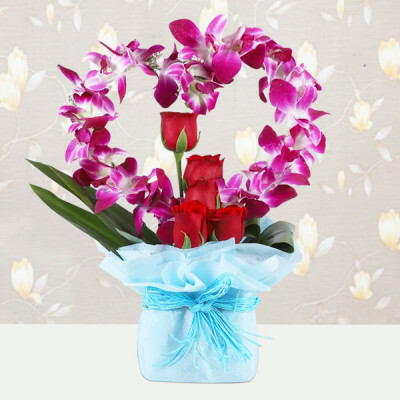 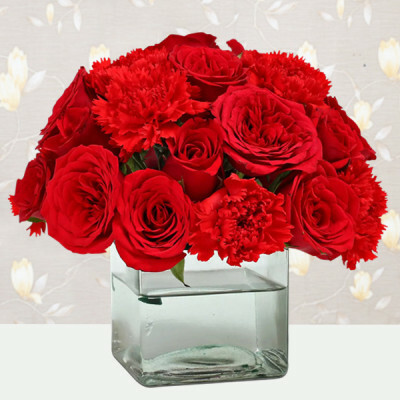 Get your love along with gorgeous Valentines Flowers and combos delivered, including, Geeta Colony, Uttam Nagar, Punjabi Bagh, Rajouri Garden, Connaught Place, and Central Secretariat.